IRS Revenue Officers, whose responsibility is the collection function, may sometimes make visits completely unannounced to both individuals and businesses that owe back or unpaid taxes. Also, they may also call on businesses that have stopped making their federal tax deposits. How Does One Validate an IRS Official? A few years back, we had a person in Schaumburg IL that was visited by someone from IRS’s Schiller Park IL office. The client had no idea what to do, so he let the officer in to begin taking questions. Then, the soon-to-be client called us, wondering if he had just been scammed. Sure, he needed an IRS tax attorney. But the time to call was before the IRS’s criminal investigation visit! Sometimes a manager will come with the Revenue Officer. In situations where no manager is present, and you want to verify identity, you can always request the manager’s telephone number. You may call to verify before the visit begins. You are not required to give them entry or engage in any conversation. It is important to note that the IRS will never call, email, or make any threats if immediate payment is not made. It is also against IRS policy to ask the taxpayer to wire a payment or put money on a prepaid card. 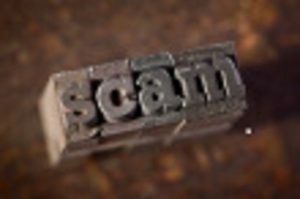 Note that IRS tax lawyers constantly get calls from people being scammed. At least now, you can know the real deal if they show up at your door. By: Katie Ross and tax defense attorney Jeffrey Anton Collins. Ms. Ross is an office manager with Tax Law Offices. Tax Attorney Collins formerly worked with the IRS. If you are under IRS criminal investigation, be sure to contact us today.